Black Non Skid Tape (sold by the case). 1" , 2" , 3" , 4" , 6" , 12", 18" , 24" , 36" by 60 foot long rolls. Available in two grades. Commercial Grade Tape. Easy to install. Simply peel the backing and press firmly onto a clean, dry surface. 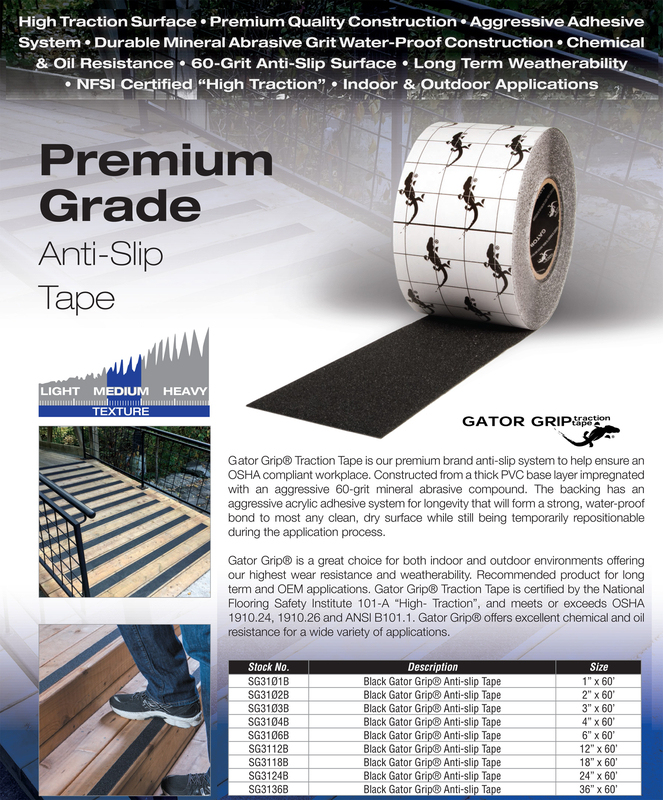 This product is manufactured from a durable 60 grit mineral abrasive for Gator Grip and a 46 grit mineral abrasive for True Grip. Bonded to an ultra tough polymer substrate and backed with a solvent based contact adhesive for instant grip. 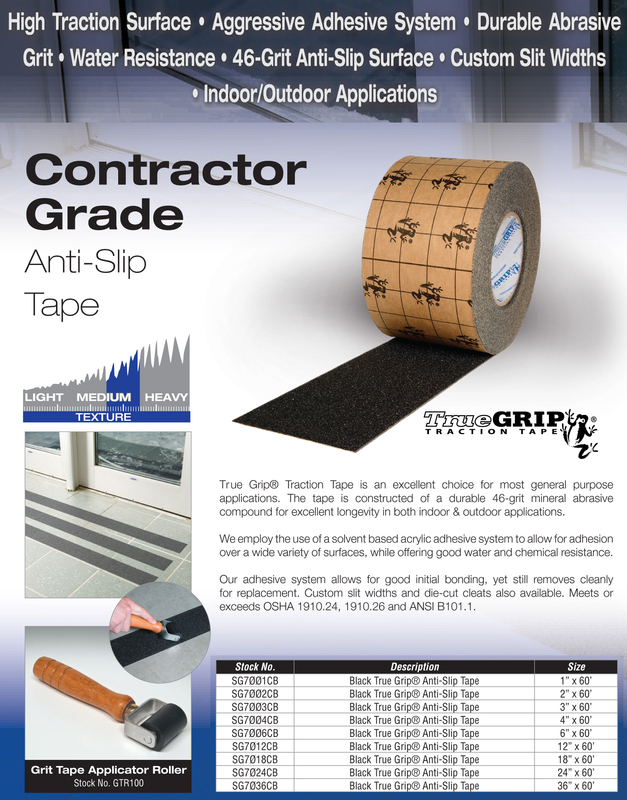 The result is a durable and reliable non skid tape.